Chances are, most of your fans use the Internet. That’s why your band has social media profiles and its own website. (If you don’t, you need to.) 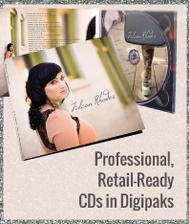 But if you aren’t selling your music and merchandise online, are you really utilizing your web presence well? Why Sell Music and Merch Online? Selling merchandise—from t-shirts to CDs to song downloads—is essential to turning your music hobby into a sustainable career. Why not supplement the income from your already-successful merch table by adding an online retail platform to your own website? 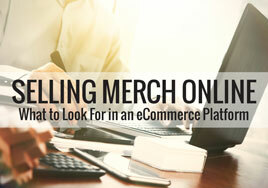 Selling merchandise online lets you reach fans outside the confines of physical proximity and time constraints. Instead of being limited to selling in-person at gigs (which you should still do), you are now able to sell your products around the clock to fans across the world. Additionally, selling merchandise on your website (instead of through third parties) means that you get the biggest return on sales of your products possible. There are a variety of factors to consider when choosing an eCommerce platform. Think about what your band needs and what your fans want. Do you want to be able to customize the shop and have it blend with your branding, or are you okay with less flexibility here? 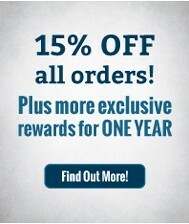 How many products will you offer? Are the choices as simple as one CD or another, or do they get a bit more complicated (for example: shirt design, then cut, color, and size)? 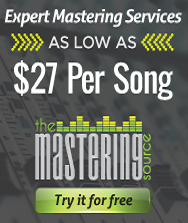 Do you want the option of selling music downloads through your site? How easy is the platform to use, both for you and for clients? Are you able to manage inventory and fulfillment, or do you need assistance with that? Do you need to ship internationally and accept foreign currency, or are your fans and customers stateside? Make a list of your goals and needs for your platform, then begin shopping. Ideally, your band has gone through a branding process. The elements of your album artwork coordinate with each other, you have high-quality photography, you have a logo, and you have a color scheme. Your website and your merch have a look about them that reflects your band’s background, vibe, or niche. Your social media profiles match your official website (as much as possible), and your fans can easily tell if they are on your official site or profile vs a fan-made page. If you’ve gone through all this trouble to brand your band, why would you want your eCommerce platform to stick out from everything else you have going on? You don’t. Instead, you want your shop to blend seamlessly with your website, in both appearance and web address. Luckily, most eCommerce platforms give you options to blend your retail site into the rest of your website, either through adjustable templates, custom shop-building tools, HTML or CSS coding, or web design services. 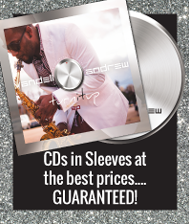 Is your goal simply to sell your two albums directly and increase your profit margin on those sales, or are you hoping to offer a whole catalog of items? Do you need someone else to handle inventory and order fulfillment, or are you ready and willing (and have enough time!) to take that responsibility on? What payment options do you need? If you have fans all over the world, international shipping and foreign currencies are probably an important option for you to have in your eCommerce site. Considering product, order, and client options now means that you can find an eCommerce option that meets your needs, both immediate and long-term. Designing a pretty storefront and offering items is only part of running a successful online store. If you want people to buy from you, your fans need to know where your store is. Optimizing your storefront for search engine results is one method of helping fans find your store. You can also add your storefront to the existing navigation system on your website. Link to it (and your main website) on your social media accounts as well. Some eCommerce platforms make social media integration a little easier (or more enticing) than others. You also need to be able to track the traffic coming to your site and gather customer information (ideally, you’ll use this to maintain connections with your fans). How Much Does An eCommerce Platform Cost? Your budget will definitely come into play when choosing an eCommerce platform, but we’ve saved this factor for last because it shouldn’t be the only one you consider. Some platforms charge a monthly/annual flat fee, and others might take a percentage of each sale to make their money. Figure out which option is best for you. For example, if you anticipate many sales and large sales, a small or modest set monthly fee might leave more of your profits in your pocket. Take some time to really explore your eCommerce options Be sure that the platform you choose has the options you need now and the flexibility to grow as your fan base grows. Finding an eCommerce platform that fits your band’s needs and adapts to match your style and branding without adding hassle means you can get back to what you should be doing in the first place: making music. Have you added an eCommerce platform to your website? Which one did you choose, and what made you choose that platform over others?